I’ll be honest, I haven’t done much around Tokyo. I have been immersing myself in the culture and trying to keep my head above water at work. Starting a new job, moving into a new house, I know I keep saying this, but it’s been tough. So, I haven’t gotten to do many Tall Girl Travels, or been able to write about it, but hopefully, soon, that will change. Fortunately the school that I work at takes each grade 5-12 on a yearly excursion. I am in charge of the Grade 12’s and they go to Hiroshima for theirs. It is one of the most coveted excursions for the teachers and I was able to go on it for my first year. The first time I was in Japan in 2004, I went to Fukoka to visit a friend. Her family took me to the Nagasaki Bomb Museum, and it is still to this day one of the most life changing museums I have ever been to. Hiroshima was no different. I wasn’t sure what to expect as we walked into the museum with 39 other people, 34 17-18 year olds and 5 adults. We made our way through and all were unable to exchange anything but niceties. The museum is intense, thought provoking, and incredibly hard-hitting. The a-bomb was dropped on the 6th of August 1945 at 8:16 am. Killing thousands of people immediately, and others throughout the following days, the museum is not an angry “We hate the United States for doing this” it is an homage to peace and understanding that this can never happen again. This museum is about education and understanding. As much as it is tough to walk through and see the damage that the bomb has made not only in the immediate aftermath, but years later, and the damage it continues to do, the museum is a learning and life changing experience. It has the history, the aftermath, and the current work they are doing to eliminate nuclear weapons worldwide. There are incredibly heart wrenching stories, objects, and sadness, but also a theme of hope, understanding, and prevention. This museum is an obvious must go while in Japan. 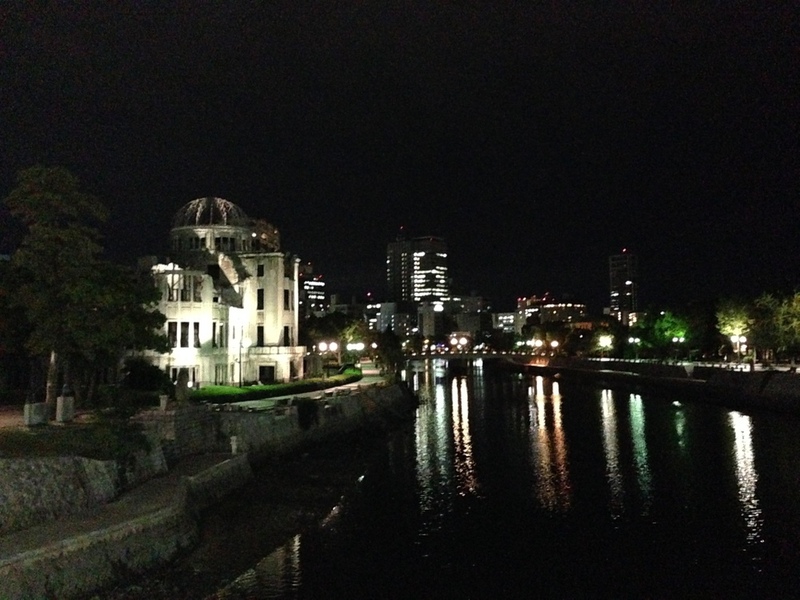 Although 4 hours on the Shinkansan out of Tokyo, it is worth every minute you can spare in Hiroshima. Before you leave the area of the Peace Museum, get a close up of Genbaku Dome, one of the only buildings left standing after the A-bomb exploded in 1945. This building was located about 150 meters away from the hypocenter of explosion and managed to stay standing. Every person who was in the area was literally evaporated in the explosion, making the fact that this building is still standing….incredible. The site is haunting, but at the same time breath-taking. Breath-taking not because of the beauty, but because it is a visual representation of the incredible damage that was done. It puts in perspective why the Hiroshima Peace Museum is doing all it can to rid the earth of nuclear weapons. If you have time to spare when you are done with the Peace Museum, take some time to walk around the peace park. In the middle of bustling city, there is an entire park dedicated to those victims of the bombing and actions of those who were affected by the bomb. 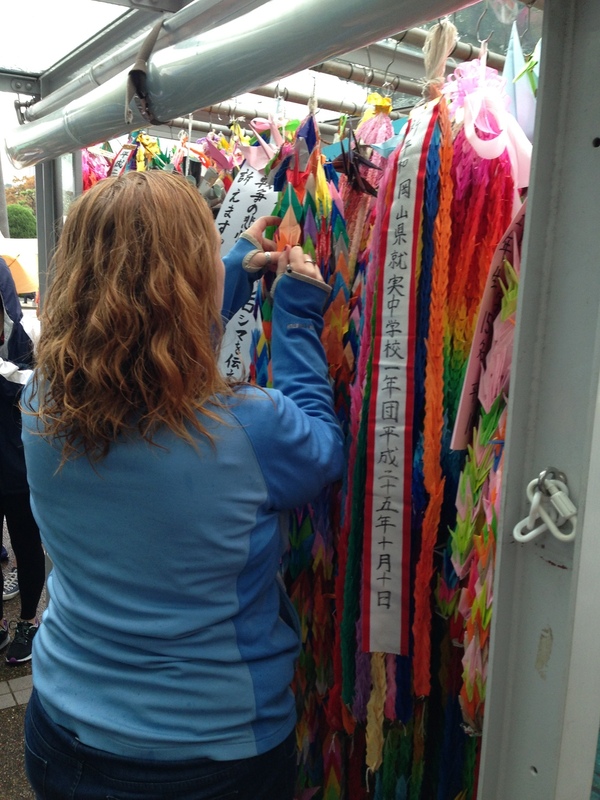 One of the most moving memorials and famous is Sadako’s 1000 cranes. There are hundreds and hundreds of sets of 1000 cranes that have been sent, left, and made in honor of Sadako and her wish to stay alive. Although Sadako passed away in 1955, 10 years after being exposed to the a-bomb, but her legacy continues to live on. It’s incredibly moving, and a must see. The toughest part of the museum? The tricycle of the three year old boy who died hours after the bombing. You can see the explanation here. Most amazing part of the museum: seeing Sadako’s cranes that she folded. 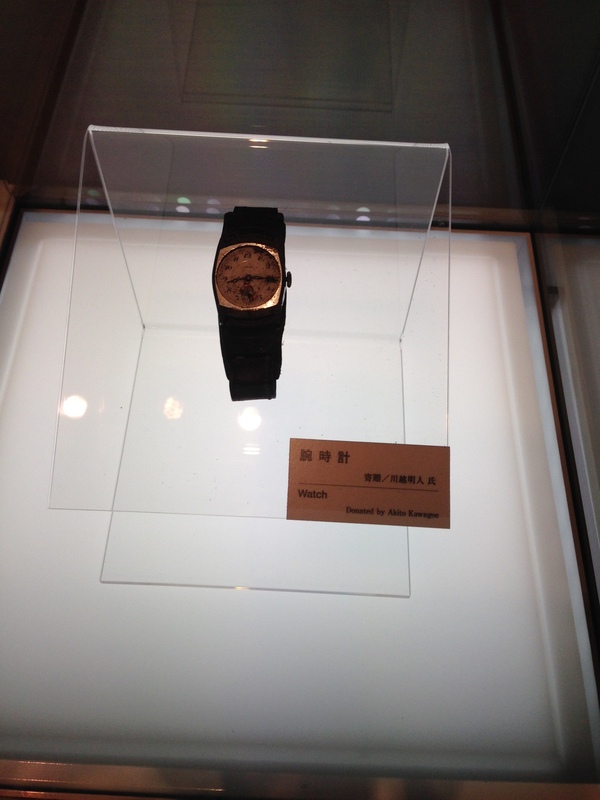 Bottom line: If you can take at least a day to go to the Hiroshima bomb museum. It’s a four hour Shinkansen train trip from Tokyo, and you could stop in Osaka and Kyoto on the way. It is an amazing experience and will change your life and the way that you look at the world.